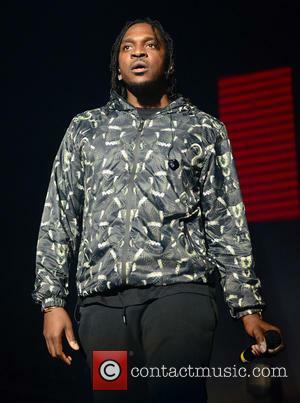 Pusha T Is Calling On Fans To Boycott A Popular Sports Lounge In His Native Virginia After Allegedly Becoming A Victim Of Racial Discrimination During A Recent Night Out. Kanye West's Runaway collaborator reveals he and his pals were heading into Venue 112 on Monday night (01Jun15), when a manager approached the doormen and told them to refuse the waiting guests entry, because they were only letting people on their guest list in the club. The rapper claims there was no guest list available, and one of his friends, who had already been given a wristband by one of the bouncers, allowing him entry, was then turned away. Pusha T vented his anger in a series of Twitter.com posts early on Tuesday (02Jun15), writing, "Venue sports lounge on Great Neck Rd in Virginia Beach definitely wins award for most racist establishment in the 757 (area code). Venue sports lounge... doesn't respect black business and makes black patrons stand outside while letting whites in. In 2015. No one in the 757 should support or patronize Venue sports lounge in VA Beach or any other racist establishments in the area". 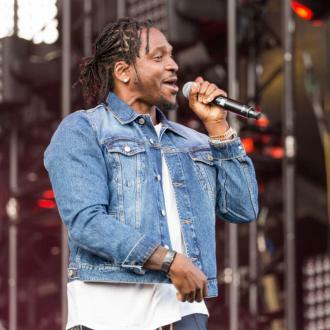 Pusha T claims he was then inundated with messages from other Virginia locals who had also suffered the same alleged treatment at the lounge. In another post on Instagram, he added, "Last night should've never happened @venue112 . These 'imaginary guest list' (sic) u impose on potential black patrons is a slap in the face to the Great Neck community, Virginia Beach, and the 757 as a whole. "My phone has been ringing since 6am with stories abt (about) your racist ways. A history of reviews online and on social media share in a seamless thread of bigotry involving your establishment. I will never come there again. You didn't know me last night but u will learn everything abt me. And u will correct this wrong". He also found the manager's Instagram page and named and shamed him online by sharing one of his photos, captioning it, "We heard u tell your doorman, 'tell them we are on guest list only tonight.' Unfortunately your other worker had already put the band on my friends wrist and wasn't hip to your racially motivated instructions". Bosses at Venue 112 have yet to comment on the allegations, but have since taken down the bar's Facebook.com page and made their other social media pages private.